PLEASE NOTE WE ARE FULL FROM THE 25TH DEC TO 4TH JAN INCL. Built in 1921 at the Mararoa Station as the residence for the farm manager, this lovingly restored villa was saved from demolition and transported to Te Anau in 2010. Next door is another historic building - a 1930s chapel from Otago, also full of wooden features and open for relaxation. A little further, lovely gardens and pond to relax and play in. Just a 2 minute drive from the centre of Te Anau and the lakefront, although if you are going anywhere by helicopter you will be picked up in the garden ! We have lots of information on all the attractions of the area: walks, fjord trips, cycling on the new trails, flights, the glowworm caves, and the wildlife sanctuary where you can see the rare Takahe bird that is only found naturally in the adjacent Fiordland National Park. This is the ideal place for those seeking a bit of peace and quiet in a heritage building. This is a great holiday house; historic character while being clean, tidy and warm. This is a great holiday house; historic character while being clean, tidy and warm. It is also set in large park-like grounds; great for kids to explore. This is a lovely old historic cottage which is being gradually upgraded by the owner. 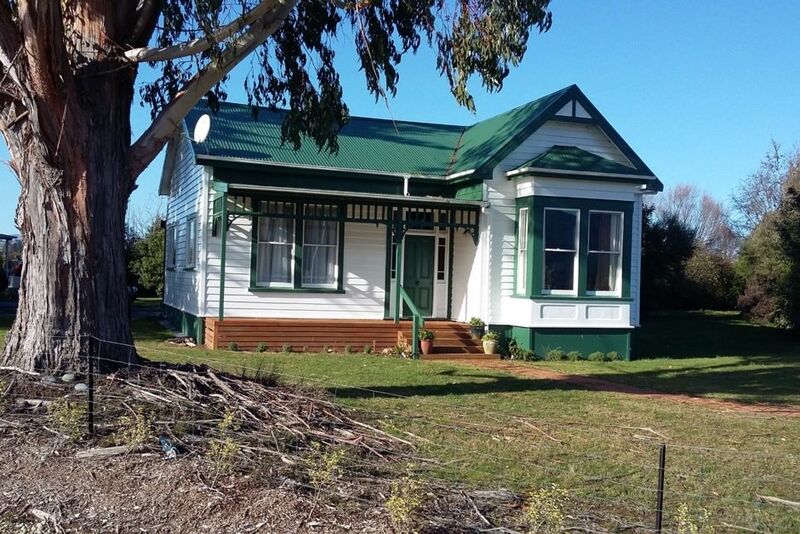 This is a lovely old historic cottage which is being gradually upgraded by the owner. The beds were very comfortable, the heating great, the bathroom and kitchen newly renovated and everything was super clean. The garden and grounds surrounding the cottage were lovely and it was vey quiet and peaceful. Beautiful house which Mark left well stocked for breakfast which was lovely after our long drive. Beautiful house which Mark left well stocked for breakfast which was lovely after our long drive. Access to lake at the end of the road. Enjoyed the history of the homestead. Thanks Mark.